GREENVILLE – The Greenville Public Library’s Third Floor Film Series will screen the 2010 film “Made in Dagenham” in April. Directed by Nigel Cole, “Made in Dagenham” is an inspiring and often humorous look at the fight for women’s equality in the workplace. Set in the working class London suburb of Dagenham in 1968, “Made in Dagenham” follows the efforts of a plucky group of women working as sewing machinists for the Ford Dagenham plant to receive pay equal to that of their male counterparts. The inimitable Sally Hawkins plays fictional character Rita O’Grady, a young wife and mother who leads the strike and becomes the group’s spokesperson. Excellent performances by Hawkins, Bob Hoskins and Miranda Richardson make the film as entertaining as it is heartwarming. 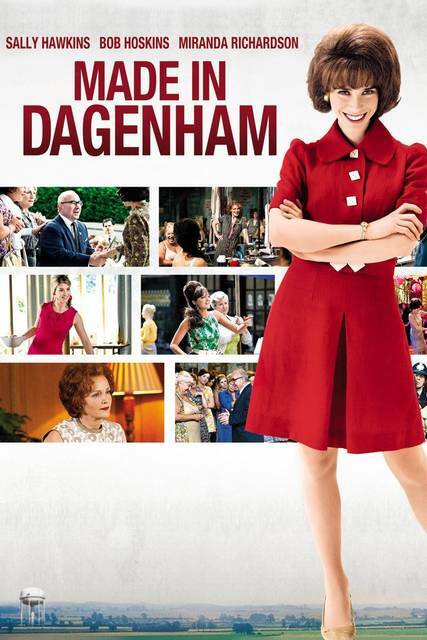 Patrons can join at 6:30 p.m. April 2 as the library screens “Made in Dagenham.” Free popcorn, candy and soft drinks will be provided, and David Nilsen will lead a brief discussion after the film.